Violence, physical and psychological, is a common tool of law enforcement throughout the post-Soviet region, in interrogations in the first hours after detention or even on the way to the police station. In the absolute secrecy of the prison system, the accused face violence and the prospect of terrible detention conditions, including a lack of proper medical care. Although these conditions are standard, they are regularly used to coerce confessions or punish whistleblowers or political opponents. Some prisoners even die with no criminal inquiry ever made into their deaths. In Belarus, authorities make a show of addressing this issue, but it persists thanks to the close connections among those in the prison system, the judiciary, law enforcement, and oversight agencies. Reliable statistics on the number of victims do not exist, as filing a claim can invite retribution. Human rights organizations say dozens of appeals and claims are filed annually, but the number of people who keep silent about their abuse is undoubtedly larger. A patchwork of laws means that victims lodge slightly varying claims across different parts of the penal code, making it even more difficult to gauge how widespread torture is. Belarusians are profoundly vulnerable to an unaccountable coterie of uniformed bullies and their enablers: all of the 158 claims of degrading or inhuman treatment by prisoners in Belarus from 2011 to 2014 were rejected by prosecutors. Nor do Belarusians have recourse to the European Court of Human Rights, a frequent champion of those who live at the mercy of unreformed judiciaries, because the country is the continent’s lone non-member of the court’s governing body. My documentary project about violence will be based on deeply personal stories of victims of cruel and degrading punishment in Belarus, using text, photos, documents, and audio/video materials. I will work with Viasna (Spring), one of the country’s foremost human rights groups, to get access to experts on the topic and to prisoners who have made claims against the system. Although domestic media cover this topic occasionally, they have not taken a systematic, visual approach, which I believe is the most effective way to dramatize it. This delicate project will take time to work with each victim, establishing contact and trust, possibly through several interviews and photo sessions. It will also require some domestic travel and assorted administrative expenses that are beyond the budget of most independent Belarusian journalists. I hope you agree that it’s worth pursuing and will make a contribution. 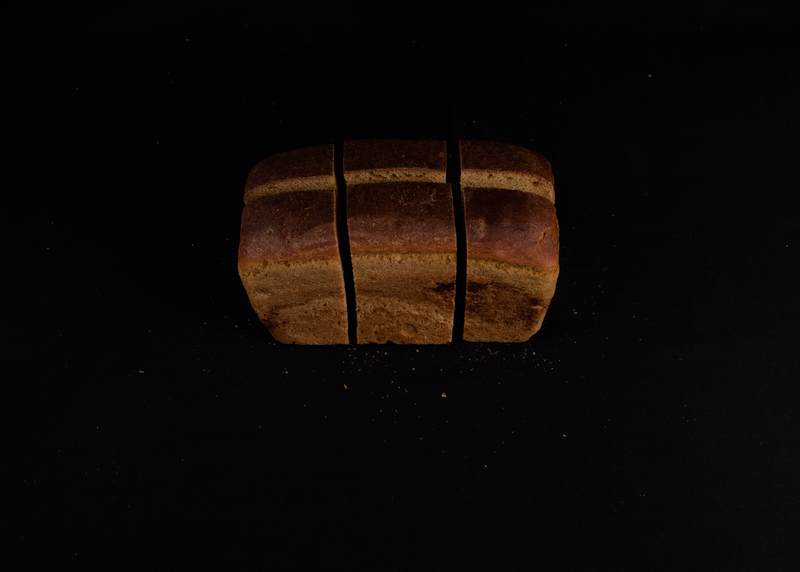 Bread, cut into six portions, is served to prisoners in Belarus at every meal. The daily allowance of bread in Belarusian prisons is 300 grams. Photo from the ongoing "Blind Spot" project.